Summit Healthcare has been the industry-leading standard in MEDITECH migration excellency since 1999. Our unmatched experience and exceptional integration and migration solutions have given countless clients the ability to make the change to MEDITECH Expanse. Summit Healthcare provides custom tools matched to fit your organization’s MEDITECH migration needs, from managing your interface strategy, to workflow automation, to dictionary management and business continuity. Summit Healthcare has been a trusted resource and partner of organizations looking to incorporate MEDITECH into their platforms since 1999. Our proven set of advanced tools and our ability to provide solutions to your integration needs allow your organization to achieve what it needs, when it needs, with the comfort and confidence that your most urgent and important interoperability requirements are met and exceeded. Summit Healthcare has the most experience and the most advanced tools to get you to MEDITECH Expanse, and we have the clients to prove it. The Summit Healthcare suite of services provides an all-encompassing array of solutions that help you manage all of your organization’s third party migration needs. Summit Healthcare has provided products and services for numerous satisfied MEDITECH clients. We have worked with early MEDITECH platforms through the current MEDITECH Expanse platform and we will continue to support and create tailored solutions for our MEDITECH clients for years to come. Learn more about how Summit Healthcare will take your organization to the next level with integration, automation, and migration to MEDITECH Expanse. We are the integration experts to get you there. Clinical & Financial Data Conversions – Moving your data into your new systems can be a very daunting task. 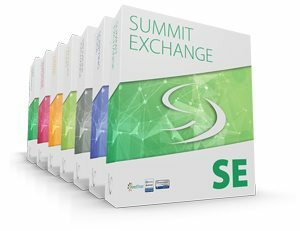 Summit Professional Services will provide data extraction, migration and archival options that supplement standard MEDITECH conversion options. Dictionary Management & Migration – Summit InSync Services will help to guide you through each step of dictionary data extraction, analysis and automation updates. By utilizing dictionary synchronization from the outset, you will feel confident that all of your data has migrated successfully, while also providing a long-term maintenance tool. Integration Strategies – An evaluation of your current and future integration state is necessary. The Summit Integration Services team provides a detailed audit of your current integration landscape, and reviews future projects to determine if any new technology will be needed to accomplish future initiatives such as physician office integration, clinical document exchange, monitoring device integration, or any other. Script Writing – Rewriting scripts into MEDITECH Expanse is an important but time consuming aspect of your migration project. The Summit Scripting Toolkit has been developed with the MEDITECH platform in mind. Summit Scripting Services can be utilized to review your overall scripting environment and rewrite your scripts so your resources can focus on other components of the migration project. Business Continuity Planning – Your team must make sure that critical patient data is available at all times as you migrate towards your MEDITECH environment. Summit Downtime Reporting Services provides an enterprise-wide solution to help in the event of a system or network downtime. Summit Professional Services will provide data extraction, migration, and archival options that supplement standard MEDITECH conversion options. The Summit Professional Services Team understands that a great migration not only accomplishes all of the very necessary tasks at hand, but also leaves the healthcare organization prepared to take on the changes and challenges of the future. We understand that this is only possible through a partnership during the migration process, and this is what we strive for with each of our clients.